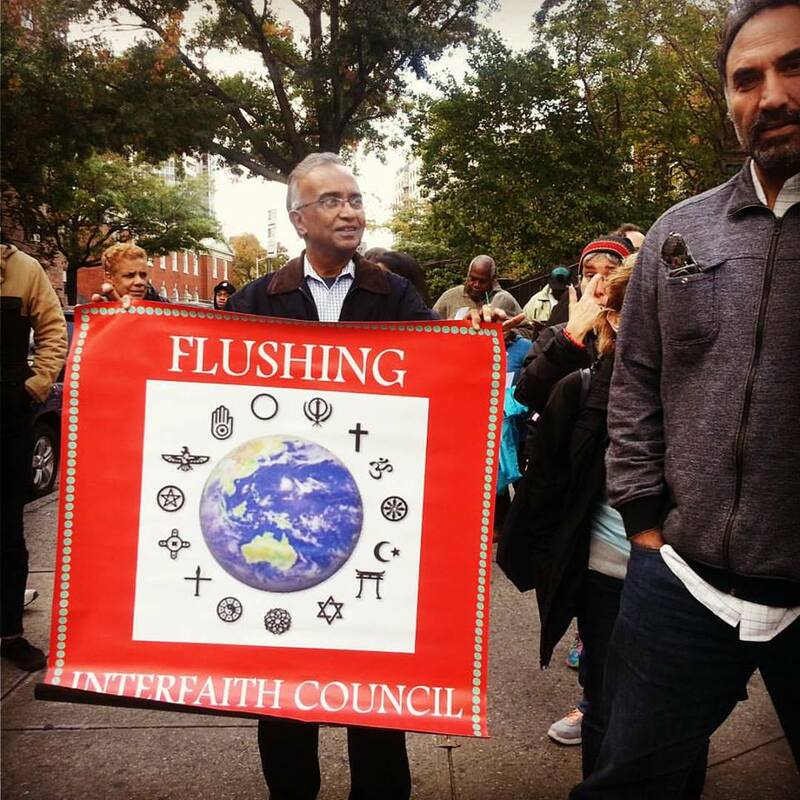 Flushing Meeting, a member of the Flushing Interfaith Council, participated in this year’s Queens Interfaith Unity Walk on October 18 in the diverse community of Flushing, Queens. 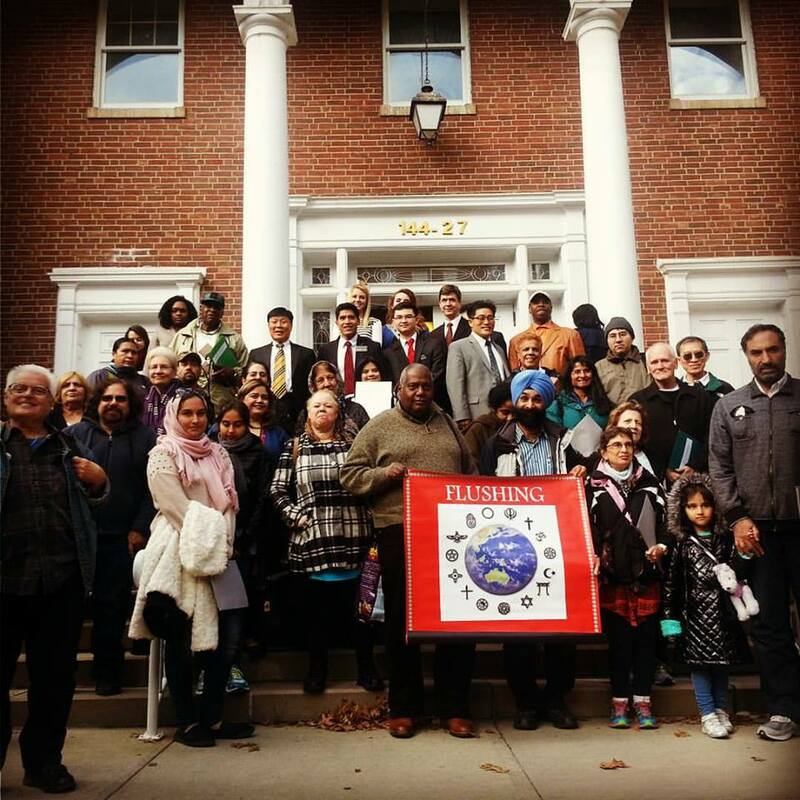 Dozens of people from different faiths and beliefs came together to build greater understanding and solidarity, walking from the Free Synagogue of Flushing to the Church of Latter Day Saints to the Sikh Center of New York and Temple Gates of Prayer to Macedonia African Methodist Episcopal Church to St. George’s Church. We met with Rabbi Michael Weisser, Rev. Richard McEachern, Rev. Wilfredo Benitez, and a host of Mormon missionaries who spoke about their faiths and the uniqueness of their houses of worship. 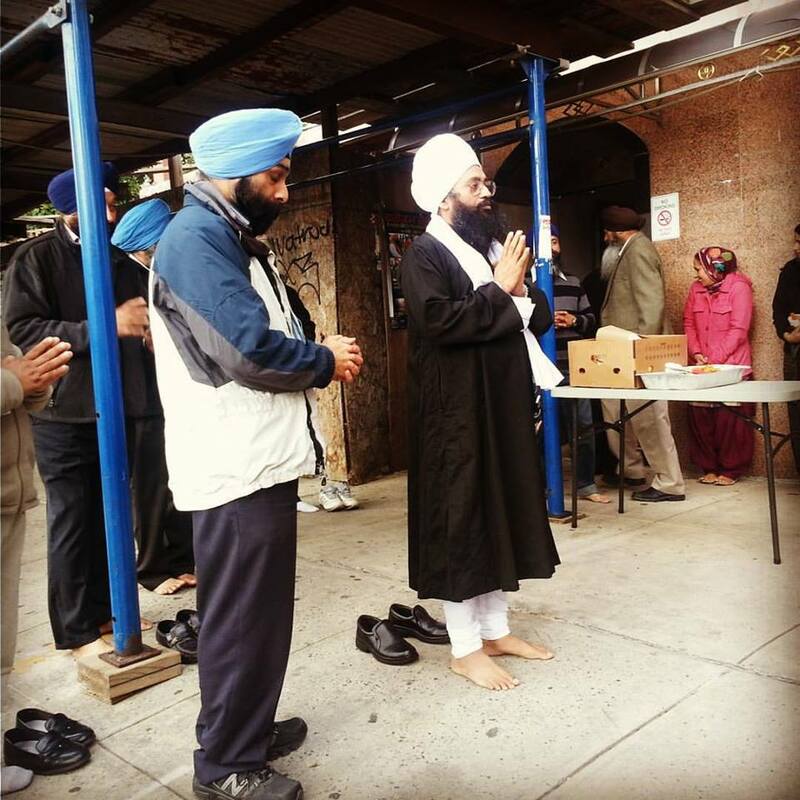 Along the way, we enjoyed pakoras and chai from the langar (community kitchen) offered by the Sikh Center of New York and ended with a coffee, cookie, and kimbap reception at historic St. George’s Church. For the pa st six years, participants of the Interfaith Unity Walk have gathered and walked in the neighborhood of Flushing, one of the largest and most diverse communities in New York City. The walk has previously visited the Hindu Temple Society of North America, Singh Sabha of New York (Sikh Gurudwara), the Muslim Center of New York, the Free Synagogue, and St. Michael’s Church, Macedonia AME Church, Syed Jamaluddin Afghan Mosque, the Unitarian Universalist Congregation of Queens, the Won Buddhist Temple, the Temples Gates of Prayer Synagogue, Masjid Hazrat Abu Bakr Mosque, the Tzu Chi Foundation, and other houses of worship. This year we wish to acknowledge the killing of faithful worshipers at the AME Church in Charleston, South Carolina. May efforts at community solidarity help prevent such tragedies and build bridges of love and understanding! This community event was sponsored by the Flushing Interfaith Council and co-sponsored by the Center for Ethnic Racial & Religious Understanding (CERRU), St. George’s Church, Flushing Friends Meeting, Morningside Quaker Meeting, Flushing Jewish Community Council, the Foundation for Religion and Mental Health, the Free Synagogue of Flushing, the Greater Flushing Chamber of Commerce, the Hindu Temple Society of North America, Muslim Progressive Traditionalist Alliance, Pax Christi, Sikh Center of New York, Turning Point for Women and Families, the Unitarian Universalist Congregation of Queens, and Women for Afghan Women. For more information about the Queens Interfaith Unity Walk, visit the Flushing Interfaith Council via web or facebook.